Welcome to my first ever series where I blog about blogging! If you are new to blogging or you want to start, this is the place for you! 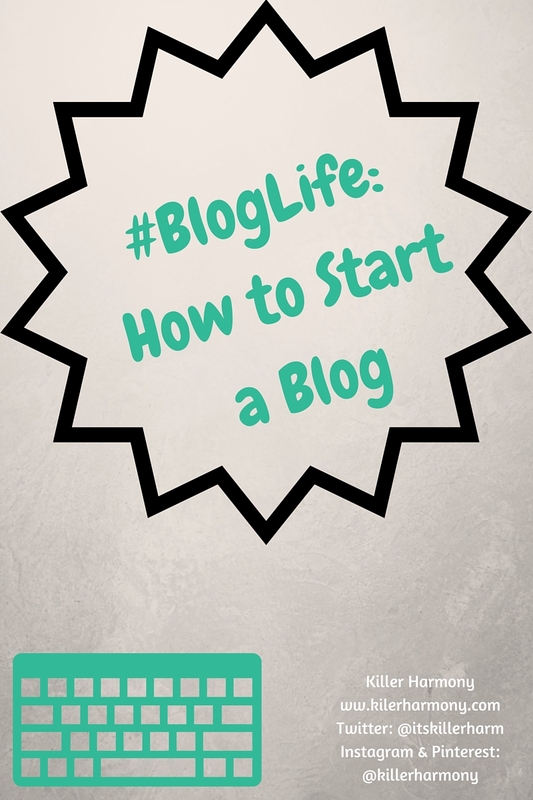 Starting a blog is really not that hard. The hardest part is getting everything set, including choosing your topic, figuring out your target audience, and deciding which blogging platform to use. In this first post, I will talk about what you should do before you write your first post. I will cover writing blogs in the next part of this series, which will hopefully help you start your awesome journey! P.S. Don’t forget to check out my Etsy shop, because at the end of February, you will find a special surprise! This is also sometimes called, at least in the blogging world, your niche. You want to write about something you have an interest in. Why would I write about cars when I don’t care one bit about them? You should also have some knowledge of your niche. I am a college music major, and I am experiencing my trip through life, so it only makes sense that I blog about my life as a college musician. My blog nice covers a few aspects: college, music, and lifestyle, but they are things that I am passionate about and things that I have quite a lot to write about. Before you start blogging, think about who you see reading your blog. Male, female, or a mix of the two? How old are they? What are their interests? What is their background? As an example, my blog targets mostly females, but a good percentage of males, aged 15-28, who have, are, or will be pursuing music at the collegiate level. Of course, you don’t have to fit those qualities to read my blog, but that is a profile of who I think of as being a reader of this blog. The two biggest platforms are Blogger (owned by Google) and WordPress. If you have a top level domain, you would use WordPress.org or for subdomains, WordPress.com. I have used Blogger and WordPress.com, both with subdomains of the respective websites. I recently switched to WordPress.com, and I love it. I will say that if you want to explore blogging at a very basic level, just get started and see if you like it, Blogger is a good choice. Most people probably have a Google account, so that includes a Blogger account which makes it super quick to get started blogging. Once you have decided that you want to continue and grow your blog, it is a good idea to switch to WordPress. I wish I made the switch sooner. Just note that if you switch platforms and don’t upgrade to a top level domain, you will lose all of your traffic statistics, but it is not difficult to make your Blogger blog redirect to your WordPress.com blog if you are a broke college kid like me. I will be doing a more in depth comparison of the two big platforms later in this series. The post will be linked here when it goes live. If you are just blogging for yourself, your friends, and family, you can feel free to stop here. If you even think that you might want to grow your blog someday, keep reading. In my opinion, two seems about perfect when you are starting out or you have other responsibilities like school, family, or work. I can’t manage more than that most weeks, unless I am on a school break. Even then, I pre write a lot of my content, sometimes more than a month before it will go up. Whatever you do, pick the right number for you, and pick days that you will stick to for posting days. I post on Mondays and Thursdays, except for special occasion, so returning readers know when to expect a new post, even if they don’t follow my social media, which you totally should! I will be doing a post all about scheduling posts, the pre writing process, the editing process, and how to schedule a post to be published at a later time. A link to that will be here when that post is up. Don’t forget that with anything, but especially blogging, quality is much more important than quantity! You can either use the same account as your personal one and just change your username to reflect your blog, or you can create a separate account on all of the various social media platforms. I, personally, use the same accounts for both personal and blog, because I feel like my blog is an extension of myself, and I want my social media postings to show that. I do have a separate Facebook page for my blog, but I also post about my blog on my personal account. More about social media marketing later, so don’t forget to subscribe to my email list of follow me on social media so that you don’t miss out! More details on social media will be linked here when they are live. Now you are ready to start writing your blog! Congratulations, and I hope you enjoy it. If you need ideas for a good first post, peek around some other blogs in niches similar to yours and see what they did for their first post, or figure out what type of post is super popular and run with that! Here you can find my first post, I cringe just thinking about it! Next up in the #BlogLife series, Writing a Blog Post! I hope these tips were helpful and that you are even more excited to start your new blog than you were before you started reading this post. This series is a little bit out of my niche, but I have come to love blogging, and it is part of my life now, so it fits in the lifestyle category of my blog.